Narsingdi is the nearest district from Dhaka. The distance between Dhaka to Narsingdi is about 75 kilometers. There are lots of people travels Dhaka to Narsingdi and Narsingdi to Dhaka every day by train. 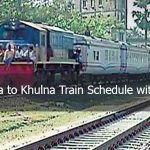 If you are looking for Dhaka to Narsingdi train schedule and ticket price, then you are in right place. 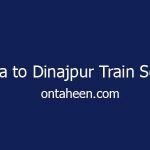 There are lots of train services which are runs from Dhaka to Narsingdi and Narsingdi to Dhaka every day. 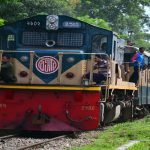 Two types of train services are available in Dhaka to Narsingdi train route. 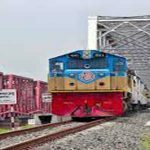 In this article, we discuss all train services, their schedule and ticket price whose are runs in Dhaka to Narsingdi route. 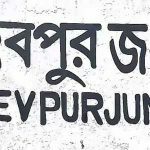 Egarosindhur Provati is an intercity train service which is run Dhaka to Kishoregonj route. It’s one of the stoppages is Narsingdi rail station. The train departs from Dhaka at 7:00 and reaches in Narsingdi at 8:15. On the other hand, It departs from Narsingdi at 9:15 and reaches in Dhaka at 10:40. It has one off day in a week, and the day is Wednesday. Parabat Express is a popular intercity train service between Dhaka to Sylhet route. It also stops in Narsingdi station. It departs from Dhaka railway station at 6:40 and reaches in Narsingdi railway station at 7:55. Parabat Express departure from Narsingdi railway station at 20:05 and arrive in Dhaka railway station at 21:55. Tuesday is the off day of Parabat Express. Egarosindhur Godhuli train is another popular intercity train between Dhaka to Kishoreganj route. It’s departure time from Dhaka railway station at 18:30 and reaches Narsingdi at 19:50. It has no off day when it’s run Dhaka to Narsingdi. The departure time from Narsingdi is 14:35 and arrives in Dhaka railway station at 15:10. Wednesday is the off day from Kishoreganj to Dhaka. Mahanagar Express is a popular intercity train which runs in Dhaka-Chittagong route. Its departure time from Dhaka railway station is 21:00 and reaches in Narsingdi railway station at 22:15. The return time from Narsingdi railway station at 17:30 and arrives in Dhaka railway station at 19:00. It runs every day in a week except Sunday. 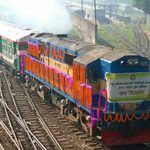 Karnafuli Express is a mail train runs between Dhaka to Chittagong train route. It departs from Dhaka railway station at 8:30 and reaches in Narsingdi at 10:25. On the other hand, it returns from Narsingdi at 17:45 and arrives in Dhaka railway station at 19:45. It runs every day in a week. Chattala Express is another mail train service runs in Dhaka to Chittagong route. It’s beginning the journey from Dhaka railway station at 13:00 and reach Narsingdi station at 14:15, and return from Narsingdi railway station at 14:10 and arrives in Dhaka railway station at 15:35. It has no off day. 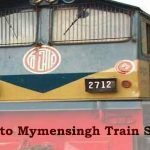 Isha Khan Express is available in Dhaka-Mymensingh route. It also stops in Narsingdi railway station. It starts it’s run from Dhaka railway station at 11:35 and arrive in Narsingdi at 14:25. And it departs from Narsingdi railway station at 19:15 and reaches in Dhaka at 23:00. It also runs every day in a week. Comilla Comuter mail train runs between Dhaka to Comilla route. 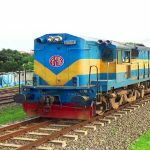 It’s departure time from Dhaka at 13:30 and reaches in Narsingdi at 14:50 and also departs from Narsingdi railway station at 10:00 and arrive in Dhaka at 12:50. Comilla Comuter runs every day in a week. Titas Commuter is available in Dhaka-Akhaura rail route. It stops at Narsingdi railway station. It departs from Dhaka railway station at 17:40 and arrives in Narsingdi railway station at 19:20 and leave Narsingdi station at 13:45 and reach in Dhaka station at 15:15. It has no off day in a week. 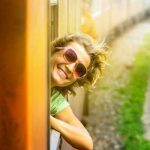 If you are interested to travel Dhaka to Narsingdi by train, at first you need to buy a train ticket from the nearest railway station. Also, you can collect a ticket from online or mobile operators. Here is the ticket price list from Dhaka to Narsingdi train service for which is differ from various seat classes. If you have any query or question about Dhaka to Narsingdi train schedule and ticket price then leave a comment in comment box below. Have a safe and pleasant journey. There are two kinds of Titas train. Research and correct it.